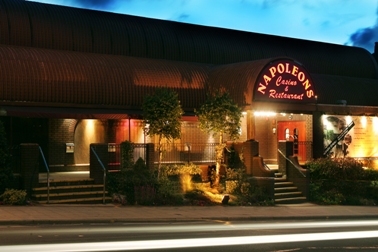 The Napoleons Casino on Ecclesall Road is one of the two casinos in Sheffield and has something for everyone. The casino has recently had a massive £1.6 million makeover and now sports a brand new look. The games available include American Roulette, Black Jack, 3 Card Poker, Punto Banco as well as 10 of the latest slot machines with £4000 jackpots. Also available are 6 Touchbet terminals and Electronic Roulette stations with wagers starting as low as 20p. For those wanting to learn more about casino games, the popular "How To Play" evenings is a great way to get hints and tips and the informal atmosphere and friendly staff ensure that you learn and have a great time. The casino hosts regular poker tournaments and cash games for players of all levels in the custom built poker room. Facilities include ample parking, a covered outdoor smoking area and a valet service. Membership is free at Napoleons and guests over the age of 18 are welcome. New members are welcomed with a free drink, £10 off the price of a meal for 2 and a match play voucher worth £5. You can either register at the venue or online. The dress code is Smart Casuals. The casino is open 7 days a week from 7pm to 5am. The restaurant is open from 6pm onwards and the early bird menu is available between 6pm and 7:30pm. The A la carte menu is served between 6pm to 10pm while the supper menu starts from 10pm till 2:45am. The bar opens daily from 6pm until 4am. The restaurant at Napoleons offers a mouth watering range of dishes and a selection of fine wines that complement each other. Whatever the occasion, be it a romantic dinner for two or just a night out with friends, there is something special on offer to make your evening a success. The bar is a great place to catch up with friends over a drink or to just relax between games with a chilled beer or even a cup of coffee. Napoleons offers special packages for corporate events which includes demonstrations on how to play and a buffet spread. Just speak to the staff about your requirements and they will make it happen for you. Try the party packages which include a drink on arrival, a 4 course speciality menu, £5 gaming chip in a presentation pouch to play with in the casino and more. The casino hosts special events from time to time. Register for membership and stay updated on the latest promotional events and special offers.